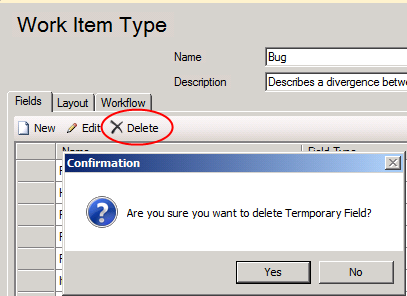 What If…You delete a work item field ? Recently I was doing some work on Work Items. I had to remove a field from a Work Item and wondered what would happen with History etc.. 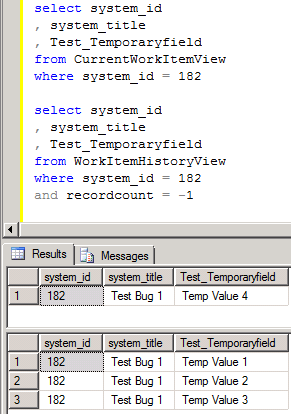 In this blog post I describe the things that happen if you delete a field from a Work Item Type Definition. 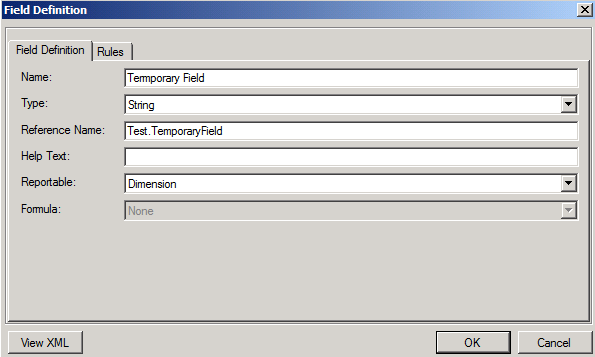 For this post I added a Field “Test.TemporaryField” to a Bug Work Item. 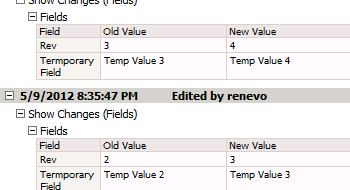 I added the field to the form and saved 3 revisions of the Bug. This reflects in the history as expected. 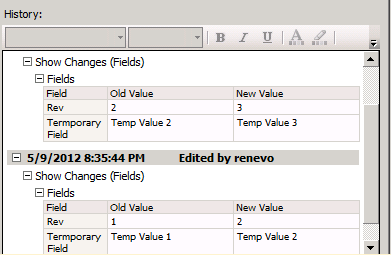 Then I remove the field from the Work Item Type. Of course I removed it from the form first. 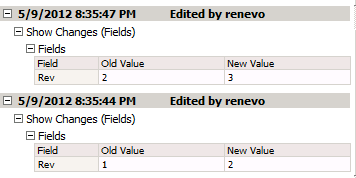 I hoped that the history would still contain the field, but the history only shows fields that are currently available on the work item. 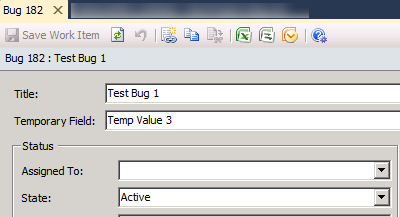 And then as a final test, I re-added the field to the bug. Magically, all history pops up again. Obviously it was not deleted at all.. Implement TFS or ALM? Same or different? Did you run the WitAdmin deleteField command? after removing it from the WIT?